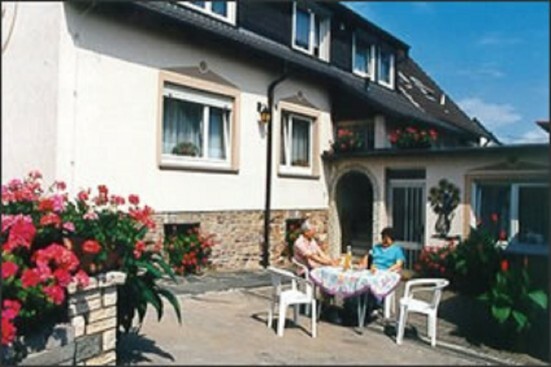 Our clients in Rüdesheim can choose from simple and economically-priced technician/craftsmen flats, or from superior private rooms including breakfast and private bathrooms. Rosenmontag in Assmannshausen on 04.03. Musica Mechanica on 13 and 14.04. Wild in the red wine zone on 27.04. Assmannshausen in red from 24. to 26.05. Magic Bike Rüdesheim from 20. to 23.06. Every year, many visitors are filled with enthusiasm by the magnificent Rhine landscape with its vineyards, forests, medieval castles that are partly well preserved, the Loreley rock and the wine cultivated in the region. First, I recommend a boat trip, for those who indulge in nostalgia with the paddle steamer Goethe of the KD-fleet, running daily between Koblenz and Rüdesheim, to enjoy the varied, romantic scenery seen from the Rhine. This should be followed by a tour of Rüdesheim. Worth visiting are most of all the medieval torture museum and, for friends of automatic musical instruments: Siegfried’s mechanical music cabinet, the Brömserburg, the Adlerturm and of course the centre of tourism, the most famous alley named Drosselgasse with beautiful middle-class houses, many wine rooms and souvenir shops. Nature-lovers can relax on a hike through the forest and vineyards, enjoy the view on the beautiful Rhine valley, and take a rest in one of the many inns, the Straußwirtschaften, where the excellent wine of the Rheingau is served. Above Rüdesheim you find the historically interesting Niederwalddenkmal. After ascending by car, the cabin funicular or a ride with the double chair lift you have a wonderful view on the Rhine valley and Bingen from up here. The Rheingau-Musik-Festival, annually set at splendid venues from the end of June til the end of August, provides not only an unforgettable experience but also a very special pleasure for music-lovers. The “Rhein im Feuerzauber” – Rhine in magic flames – can be enjoyed from the riverbanks or while taking a boat trip, which is especially impressive. One highlight of the events, “Geschichte im Licht” – history in the light – should definitely not be missed. More information on entertainment can be found in the Rüdesheimer Terminkalender. To make your pleasant stay complete we offer private accommodation with friendly hosts taking good care of their guests.